1. 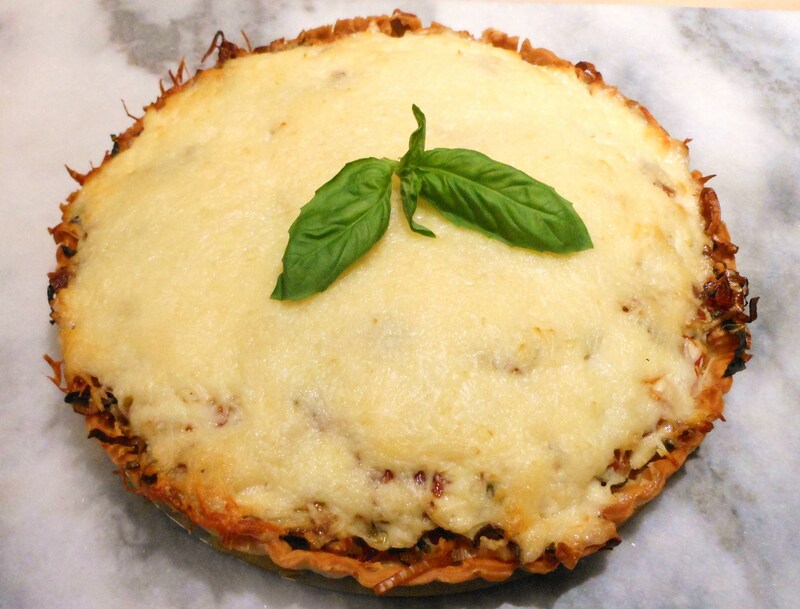 Coat a 9-inch tart pan with cooking spray. Fit piecrust into pan according to package directions. 2. Bake at 450* degrees for 10 minutes or until golden. Remove crust from oven; sprinkle with 1 cup cheese blend. 3. Sauté leeks in hot oil in a skillet over medium-high heat until tender; sprinkle over crust. 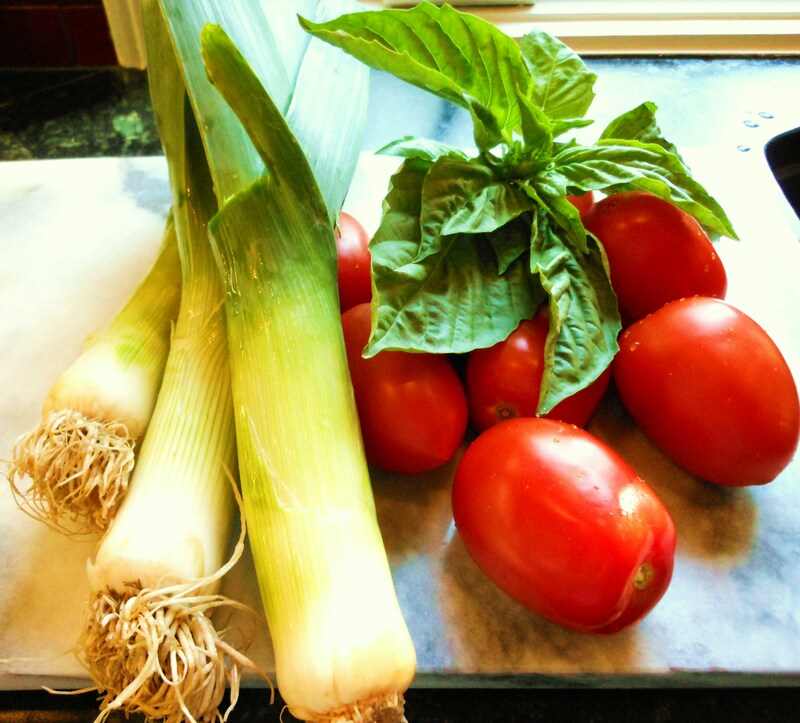 Arrange tomatoes over leeks; sprinkle with basil and garlic. 4. Stir together remaining 1 cup cheese blend, bacon, and next 4 ingredients. Spoon over tart, spreading to edges. 5, Bake at 375* degrees for 25 minutes or until golden. Cut tart into 4 slices, or more, if desired. Garnish with basil sprigs. Posted in Recipe and tagged Basil for Dallas Gardens, Dallas Farm to Table, garden recipe, tomatoes. Bookmark the permalink.